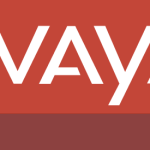 Follow the steps below to both clear and reset your Avaya 9608 IP Phone. Maybe you need to clear the IP address or change the extension of the phone. The instruction applies to 9608, 9611. 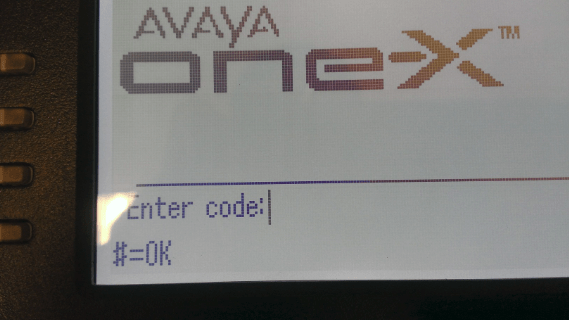 Press the * button to program when it prompts as the phone is starting up. Press mute, then type in 27238 # (CRAFT). A menu will appear, scroll down to Clear and press Start. The display will show “Press Clear again to confirm”. The display will show “Clearing Values” and will restart the phone will reboot back up in factory default. 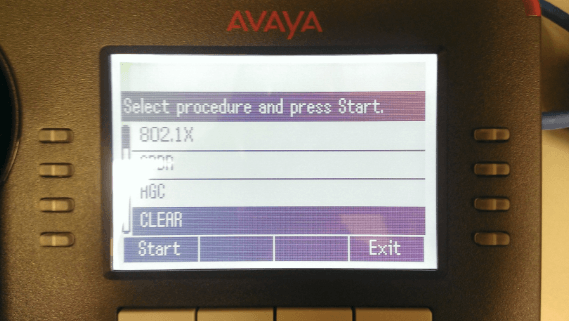 You can download the user guide for the 9608 and 9611 here. it been 8 months but who ever finds this. Try getting into a preconfigured phone you will see call server ip router and mask also http and https server info. Write down on paper and apply it to the new phone all you need after depending if it uses dhcp if so leave the ip address of the phone blank. start the phone and it should work if not hardcode an ip by ipscan the network which where all the phones are and get a free ip add to the phone and reboot the phone. Hey ! I am thankful for the insight – Does someone know where my assistant might be able to grab a sample ATF 4 (5320.4) document to complete ? The procedure provided is incorrect in step 3. You do NOT press Mute at this point: Mute is only used to get the phone into Command Entry mode when the phone is already booted and running. Hitting “*” to “Program” has the same effect during boot-up as Mute has when the phone’s already running. In step 3, you just enter the craft procedures password, i.e., 27238, and then “#” (for “OK”). If the customer has changed the password in the 46xxsettings.txt file via the PROCPSWD directive, then 27238 won’t work, and you’ll have to use whatever the customer changed it to.